Crack of dawn, Sunday. Everything says go back to bed, except the pile of clothes in the corner and the quietly patient, waiting bike that leans against the bookshelf. It watches my clumsy preparations. Mercifully, all of the rummaging, pumping, fiddling and fettling was done the night before – which sounds a little like the beginning of a bad joke. Not feeling particularly amused this morning, more apprehensive. Huge bowl of breakfast, tea. 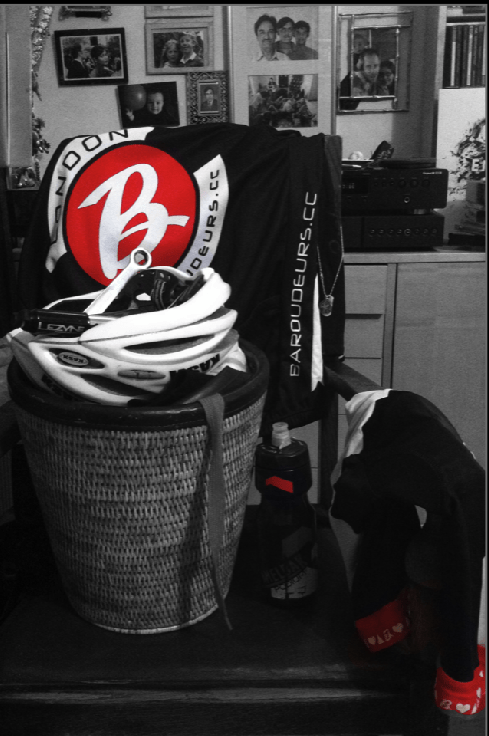 I’m riding with the Baroudeurs this morning for the first time in months, and I want to be neither late nor hungry. My head knows what the next 5 or 6 hours will be like, my body mercifully oblivious, still half asleep.